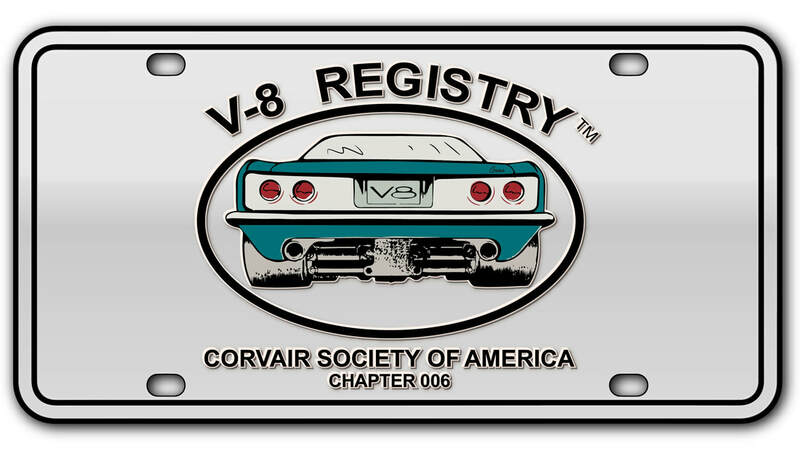 Red, white and blue Crown V-8 roadster autocross car. 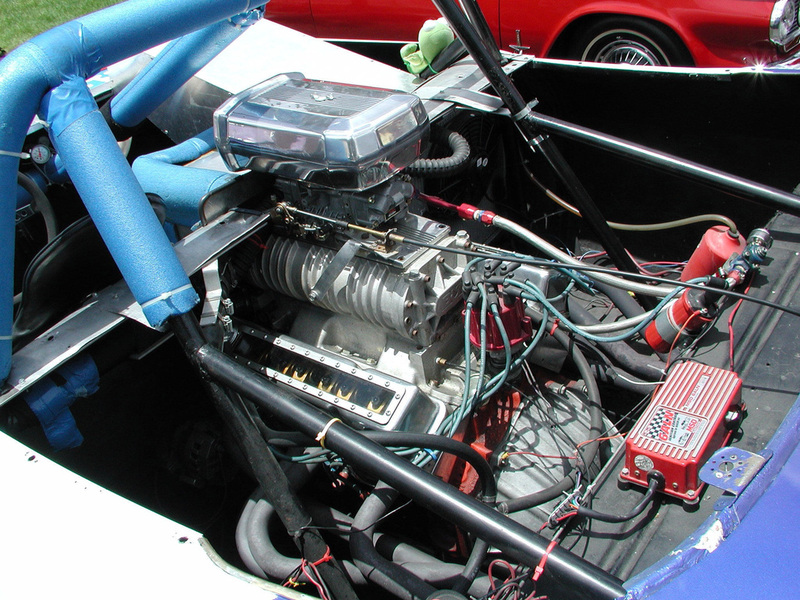 Positive displacement B&M supercharger on a stroked 383 cubic inch small block. 550 HP and 615 Ft/lbs of torque. 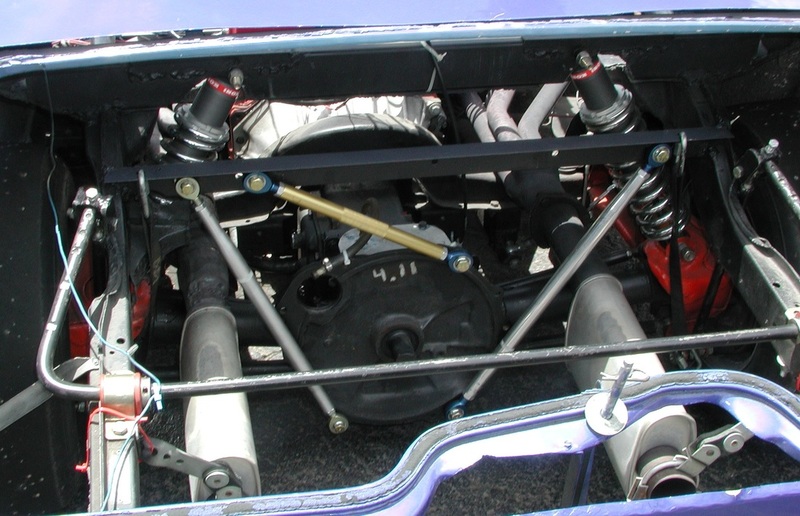 Rear suspension designed and built by Colburn racing, trailing arm suspension with 4 links per side. Crown setup by Steve Goodman at Rear Engine Specialist. Aluminum brake drums over nearly stock brakes for low unsprung weight. Koni Racing shocks. 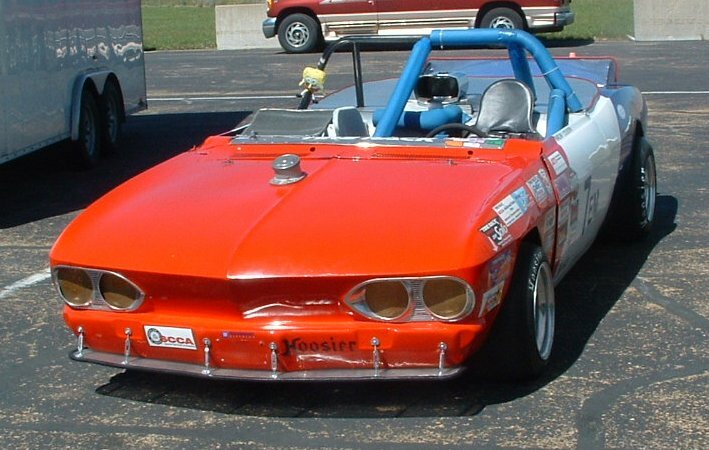 All fiberglass panels except rear fenders. Car weight is 2100 lbs. 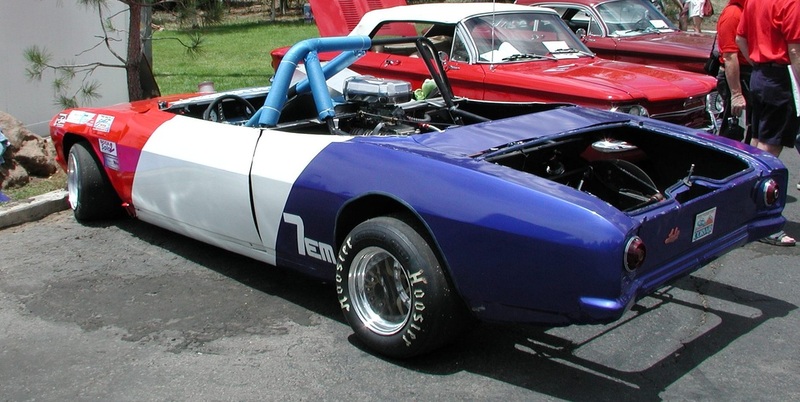 Car has many 1st place trophies, many FTD's, and many Yenko Awards. 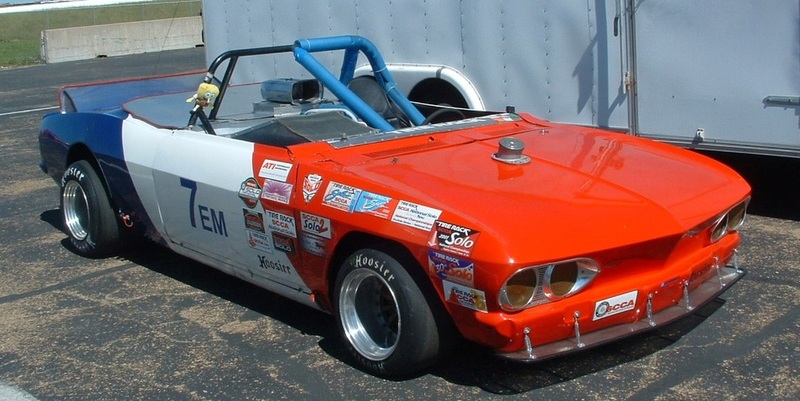 Car was a regular at National SCCA Autocross for 25 years in E Modified.